People are dependent on their smartphones and it is impossible to go anywhere without it. If you use your smartphone to do a lot more than just make calls, having a few apps that could come in handy is something that you will benefit from a great deal. Each year there are some amazing apps that are introduced into the market that turn out to be better than the ones that already exist. 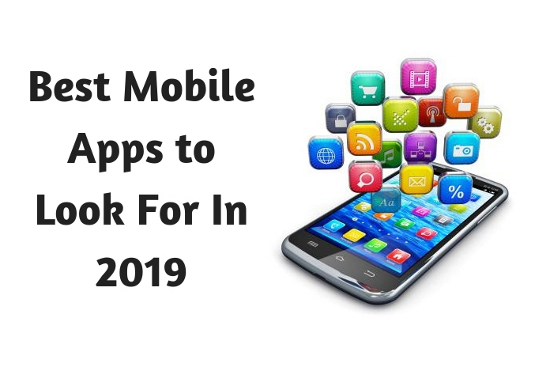 Here’s a list of the most popular and trending apps 2019 has to offer. When you have a smartphone you'll constantly be downloading stuff off the internet and clicking on links that might not be safe to visit. When you use the internet on your phone so often, it's best to start off by downloading an anti-virus that can help to keep your phone safe at all times. While there's no risk in downloading from the in app stores, there's always a risk when you download files from an unknown source. As hard as you might try to avoid third party downloads, there are times you have to do it. This why using the anti-virus helps. Everyone has heard of YouTube however what many do not know are the new features that YouTube has launched. One of the new things launched by YouTube is the YouTube Red subscription. With this YouTube Red subscription you will have access to some amazing exclusive content that you will not find on any other website. With this subscription you will have the audio playback option that allows the audio to still play even if the screen is turned off. There are times when you just want to hear a song rather than watch the video and this feature will be extremely helpful. While YouTube may be the king of homemade videos and viral videos, the king of online movies is definitely the next app. Why download music when you can stream it online? Soundcloud is an amazing app that grants you access to loads of songs without having to pay for it. The best part about this app is that you can use it as often as you want without having to worry about paying a dime for the songs. It's a very convenient app for all those who love to listen to music while they are travelling or even while they are at home. You can even connect your phone to a speaker at home and have a party without worrying about how you're going to play the best songs. Dating apps have definitely taken the new generation by storm and the thrill of knowing a person online before meeting them is a new game that people love to play these days. While there are various apps that will fool you into meeting new people, Chatrandom has real people that you can chat with. The unique thing about Chatrandom is it allows you to video chat with the person as well. This means that you can actually meet the person once you are comfortable with him or her. However Chatrandom should be kept away from children because the internet is filled with perverts and you never know what you will see on the other side of the camera. If you’re fed up of random calls and tele-marketing agents calling you over and over again to try and sell their products then you need to download true caller today. This is an amazing app that tells you who’s calling you even if you don’t have the number saved on your phone. If the number’s been marked as spam by many users, you’ll know it’s a call that’s best avoided. The app is very convenient to use and it is also helpful in blocking unwanted callers from bugging you over and over again. While there are a number of call blocking apps available, true caller is the best to download because you don’t really need another app to check out who’s been calling you. This is one app that works well in both situations. Everyone loves to catch up with the daily news however there is very little that you can do when you do not have time in the morning to read the newspaper. While there are many news based apps out there, their accuracy of delivering information to you may not be that great. This is where News360 comes into the picture. News360 allows you to customize your feed and it makes sure that you go ahead and get the best news delivered to you on an hourly basis. You can even set alerts and reminders for yourself in order to catch up with the latest headlines. One of the best things about News360 is it gets accurate as you go on using it. This is something that no other news app does for you. Everyone has heard of ESPN and will agree that there is no other sports channel better than it. There are a number of sports apps available in the market however nothing beats ESPN. You get complete coverage and you will even be able to ensure that you get coverage based on the sports and the teams that you love. You will not get generic news with ESPN and you will even get local sports news that will help you catch up with your local team as well. Periscope is an amazing live video streaming app that has made life very easy for a number of people. People love looking at broadcasts and live streaming videos and Periscope is definitely up there with the best apps. If you are still wondering What is the periscope app and how does it work? Then you need to check the features online today. You will be able to use this app very easily because of the simple interface. The app developers are also coming up with amazing add ons that definitely make Periscope one of the apps to look out for.